Wiking® Fibrillated Fibres are multifilament polypropylene fibres, applicable to all types of concrete products – especially mortar, shotcrete and concrete elements. The fibres prevent the formation of cracks and provide a high level of tensile strength. Very fine to very coarse fibres made of 100% polypropylene. Very fine to very coarse fibres made of 95% polypropylene and 5% inorganic materials for improving the adhesive properties in the concrete matrix. 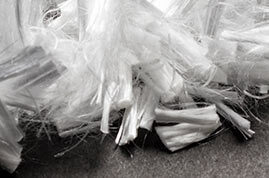 Wiking® Fibrillated Fibres are made of virgin polypropylene, which has been extruded into very fine and slender fibrils. The fibrils offer outstanding mechanical bond strength in concrete due to their irregular and square shape. When Wiking® Fibrillated Fibres are added to the concrete mix, the fibres will form a three-dimensional matrix in the mix to prevent the formation of plastic shrinkage and settlement cracks. This ensures a strong and more durable concrete structure. 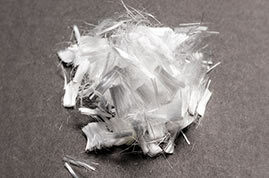 Polypropylene fibres have a very low density of 0.91g/cm3. Wiking® Fibrillated Special is modified with the application of an inorganic material to increase the fibre density to 1.01g/cm3. Wiking® Fibrillated Special is therefore ideal for increasing the adhesive strength of concrete. Wiking® Fibriliated Fibres are also suited as fire-retardant material in tunnel construction projects. In case of fire, the fibres will melt and create small capillary cavities in the concrete, which will delay the explosive fragmentation, increasing the amount of time available to rescue people trapped in the tunnel fire. 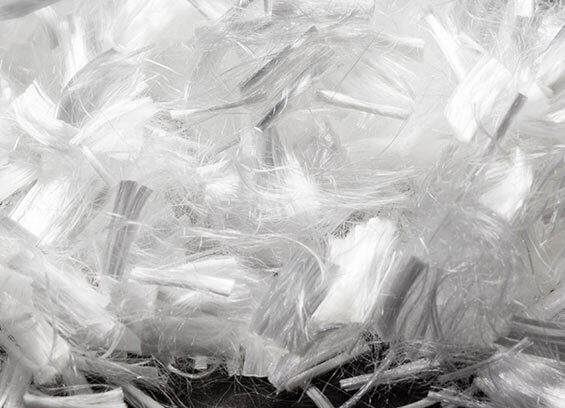 Polypropylene fibres are physically resistant to acids and bases (unlike all other synthetic fibres). Hence, the fibres will prevent the concrete from deteriorating – both in terms of look and durability. The surface of Wiking® Micro Fibres has received a special coating to increase the dispersing and adhesive abilities of the fibres. The special coating also ensures that the air content of fibre reinforced concrete stays below 1%. 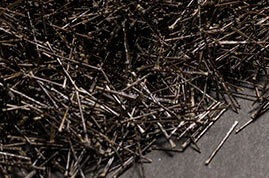 We produce fibrillated fibres in over 50 variations. Finer variations are especially suitable for dry-mix concrete, whereas coarser variations are especially suitable for maximising the bonding strength within the concrete. * Measurements in accordance with the Danish Fibres test procedure. 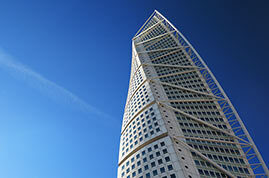 Proud supplier of construction fibres for the award-winning skyscraper Turning Torso in Malmö, Sweden. A leading range of monofilament polypropylene fibres, applicable to all types of concrete constructions, including tunnels. Fibres for concrete reinforcement, made of basalt, a volcanic rock, which is four times stronger and four times lighter than steel.